Base Camp at 1pm today, bring a friend! 2nd Annual Cast Iron Cook off at Mother’s Beach on Sunday! Notes: Shankle Complex= 1 Clean Deadlift+3 Hang Clean Pulls+1 Hang Squat Clean+2 Jerks. 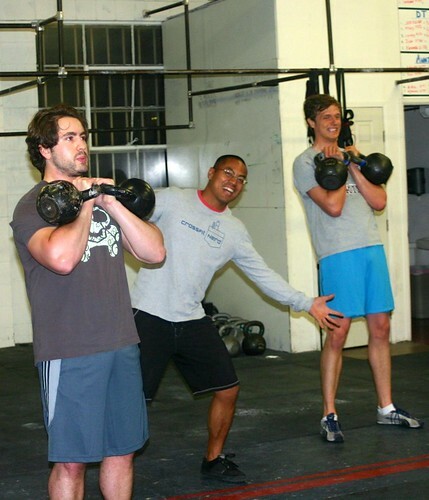 If you are not comfortable lowering the bar back to your shoulders for the 2nd Jerk, just perform 1 jerk. Notes: Only one barbell per athlete. Scale starting weight and subsequent increases as needed, or stay with one weight throughout the workout. Someone here saw Iron Man 3! I also have a lawnmower with a spinning reel of sharp metal blades that gets its power from me pushing on the handle, and even a boat that is 11 feet long, and able to navigate everything from tranquil lakes to roaring ocean surf waves to car-sized river rapids.. but which deflates to fit in a bike trailer, weighs less than 25 pounds, costs less than $100, and is also powered entirely by muscles.